This is a beautiful residential just over a 5 acre property with a 980 Sq. Ft. house built in 2014. 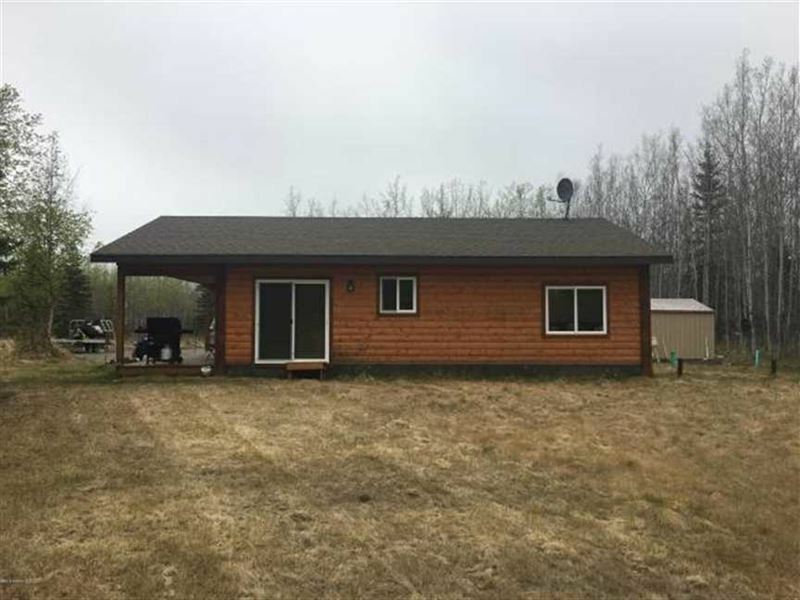 This home has 2 bedrooms, 1 bathroom and is located in Soldotna, AK 99669 on the Kenai Peninsula County in Alaska we call them boroughs. From this property you could easily see bear, big game, moose, upland game, small game, rabbit, squirrel, quail, and eagles. This property has its own private yard and has horse property and is a road service area. There is so many fun things to enjoy within this property. You will have access to saltwater fishing, offshore fishing, freshwater fishing, ATV trails, public land access, equestrian trails, hiking trails, biking trails, and enjoying friends and family during year round bar-barques Make this beautiful home yours today.